At times straightforward and up-front, at others modest and demure; sometimes distant and aloof, but on occasion flashy and flamboyant. As a designer of meetings, I listen to the messages expressed by buildings. What buildings say is important because it influences the behaviours of meeting participants. And in turn, those behaviours can make meetings more or less successful. 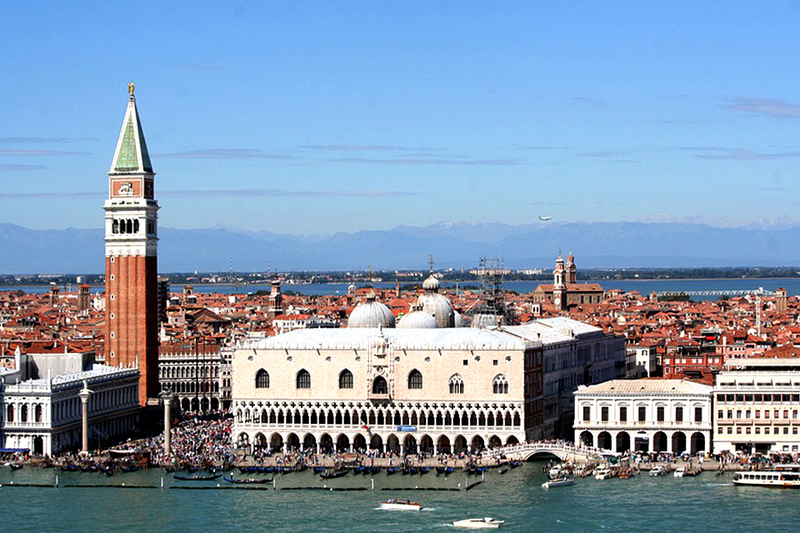 Let’s take a powerful building, the Palace of the Doge in Venice, for instance. When stepping inside the vast Council Room, people instantly change what they were doing before: they slow down, lower their voices, take their children by the hand – like when you enter a church, although the ceiling is that high. Very clearly, certain things are not done in there: children don’t run across the Council Room and it’s not the place for a passionate French-kissing session with your lover. Why not? What makes us so aware of what is appropriate and what is not? I don’t know the exact mechanism but without any doubt it is connected to our receptiveness to the signals we pick up from our surroundings. In our heads, these signals are directly forwarded to a kind of toggle for acceptable and unacceptable behaviour. For my work I am not so much interested in understanding the mechanism in detail but rather in the phenomenon as such. The point is that virtually all meetings are held in buildings and it is my experience that buildings speak to people. Not only to people who are willing to listen, but to everyone. What they say is called the Venue Message. Usually, the building invites you to do something; it exudes an assignment. The message sounds like a sentence taken from a theatre dialogue and you, the visitor, respond to the signal, to the stimulus. Without consciously noticing it. 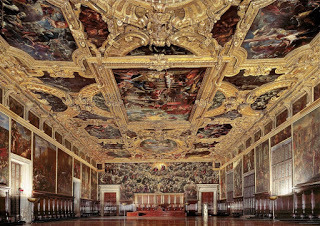 Thus, the Council Room in the Palace of the Doge in Venice says: “be humble in the sight of the wealth I have gathered in many centuries!” Anybody with half a bit of common sense simply “gets” that message and literally incorporates it with due respect. And due respect and French-kissing don’t go together.